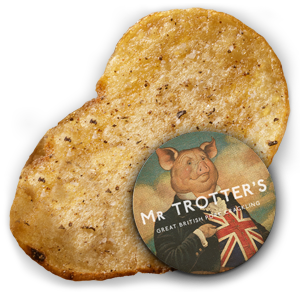 Crisp Beginnings Invented allegedly in 1853 by chef George Crum in Saratoga Springs, New York, when the steel magnate, Cornelius Vanderbilt, sent back his fried potatoes on the grounds that they were cut too thickly. The irritated chef sliced them ultra-thin, fried them up and sent them back out as Saratoga Chips. 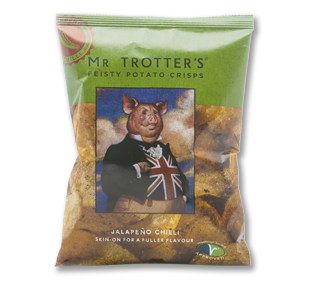 And the Americans have called crisps ‘chips’ ever since. But it's quite possible that we Brits got there first, as a 1922 recipe in William Kitchener's The Cook's Oracle sounds suspiciously like crisps. In 1926, Laura Clough Scudder of California had the bright idea of bagging them up in sealed, wax-proof bags. And in 1954, Joe 'Spud' Murphy and Seamus Burke of Ireland cleverly developed technology to add seasoning during manufacture. Historical All potatoes trace their roots back to Central and South America. They have been grown for at least 4,000 years (possibly 10,000) and may have originated in the Andean Mountains. 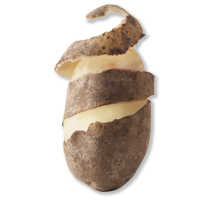 The Spanish claim that Gonzalo Jimenez de Quesada introduced the potato in 1550. 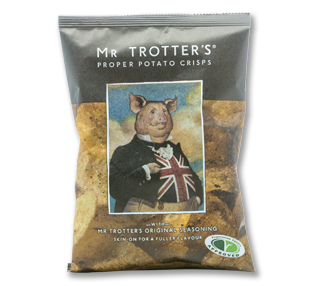 Potatoes were introduced to the UK from by Sir Walter Raleigh or Sir Francis Drake in the 16th Century - no one can agree which. Nibbles In 1850, Londoners were eating 3000 tonnes of potatoes a week. In 2012, the UK produced 4.553 million tonnes. In 2013, China - the world's largest producer of potatoes – produced 88.9 million tonnes, almost twice as much as India, the next largest producer. There are over 4000 varieties of potato in the world. Potatoes are a member of the nightshade family, which also includes tomatoes, capsicum and the poisonous belladonna. It is the world’s fourth-largest food crop, after maize, wheat, and rice. The world's biggest ever potato weighed 3.76kg. It was grown by Peter Glazebrook in the UK in 2010. German engineers extracted 538.1 volts from a potato battery in 2009.